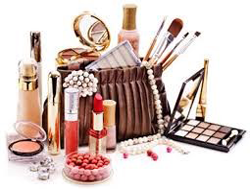 The US FDA has issued draft guidance to recommend a tolerance limit of no more than 10ppm of lead as impurity in cosmetic lip products and externally applied cosmetic products, including eye shadows, blushes, compact powders, shampoos, and body lotions. The US FDA encourages manufacturers of lipsticks and other cosmetic products to achieve levels of lead lower than 10 ppm whenever feasible. This guidance does not apply to topically applied products which are classified as drugs, or to hair dyes that contain lead acetate as an ingredient. It is crucial for all cosmetic, personal care and household products to be safe, effective and stable. G.I.T.O provides testing, inspection, auditing and consulting services to manufacturers, distributors and importers to ensure a high level of product quality in every area. We also have extensive capabilities in performance testing, claim support studies and consumer panels. Our testing is conducted according to customer specific or recognized standard methods.